Our idyllic estates are some of the biggest shoots in Suffolk. We have the ideal environments for game to thrive in and our fountain of knowledge in fieldsports makes for the perfect setting for our driven game days. Usually in groups of 4-10 guns, accompanied by our experts and their gun dogs you'll be shooting very generous bags from dozens to hundreds depending on your group. Suffolk game birds are fast and plentiful, our drives are always professionally executed by our beaters along with our highly trained dogs; guns rarely leave disappointed thanks to our keen organisation, experience and spectacular estates. 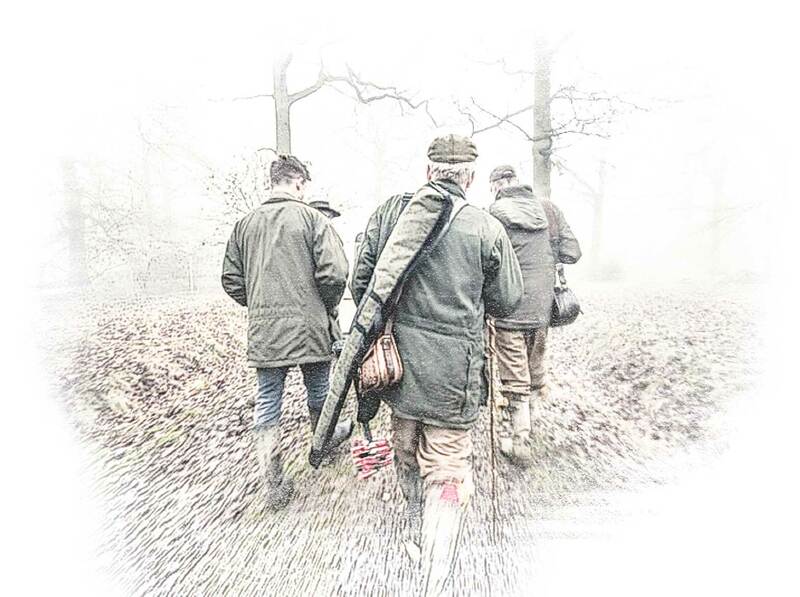 Non shooters are welcome to join in the field as long as they do not disrupt the shoot (additional fees may apply). They will be subject to all the same rules as the guns and they may also be required to assist in carrying bagged game when needed. You are more than welcome to bring your own dog on our shooting estates, provided they are suitably trained. You are responsible for your dog’s behavior and should they disrupt the shoot or other guns, you will be asked to leave the field. Thanks to our years of experience in field sports, we can bring you to the best places for healthy and fast birds which can challenge even the experienced gun. For further information please do not hesitate to contact our friendly team. Show sportsmanship. Respect for the quarry and your fellow gun, no low birds and no 'poaching' from neighbors. We must receive all documentation and ID 72 hours prior to the shoot. Gun hire and cartridge sales available on the estate. Only 12 & 20-gauge shotgun pumps, single or double barrel to be used. No semi-automatics. We always follow the BASC Code of Practice for Shooting. Transportation around the estate, beaters and dogs. All refreshments throughout the day along with a meal in one of the local pubs to the estate. An unforgettable day of fieldsports in the heart of the Suffolk countryside. Accommodation. This can be arranged (subject to availability) in one of our lodges in or around our estates, please ask us for details. Tips (The usual is £20 per gun). Transport to and from the estate. Guns and shells (these are rented and sold separately). Clothing and other gear. If you do not have something in particular, let us know in advance and we will do our best to help. When guns are not shooting, muzzles must be pointed in a safe direction with the safety on. Only shoot when your barrel is pointed towards the sky and above a 15-degree angle. If you are unsure whether or not to shoot a bird, do not shoot. Only collect game if they are close to you, it is safer to let the dogs retrieve any fallen game. Avoid excessive alcohol consumption during your shoot.